Totally feel like you are in an episode of Hoarders walking around there. Three rooms, many aisles, decked out like this. Bonus: the kids love going there (who wouldn't?). Totally fluked seeing this book! (was right on the top of a random stack). This is the first Sonya Hartnett I read, back when I was 15 (!). So cool to finally have my own copy. Any other Sonya Hartnett fans out there? She is AMAZING. 3. 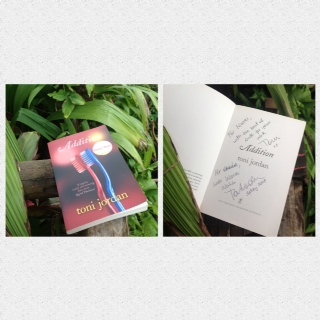 On Monday, I met Aussie author Toni Jordan at Caloundra Library. Speaking of Addition: it is available worldwide. Translated into, like, 17 languages. Multiple reprints and soon to be a movie. I love it so. MAJOR RECOMMENDATION from me. I am too private to share actual inscriptions. Sorry if this tiny pic drives you crazy! One thing Toni shared that I liked: she calls her first draft her 'heart draft' and her second draft her 'brain draft'. Meaning the first time it's all about getting into the characters and the story and feeling it, and the second time through it's making it work: research, tension, shaping the story. Beautiful. 4. Been doing a lot of bush-walking, this place just at the top of my street. 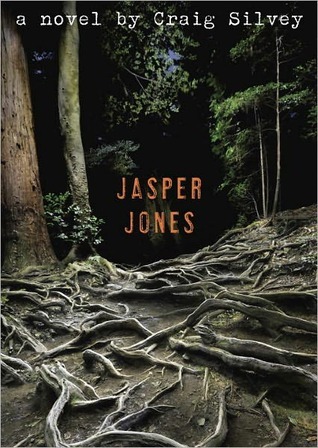 Maggie, of Young Adults Anonymous, pointed out that one of my pics is like the US cover of Jasper Jones. Sweet. 5. I've really been sucking at reading. I have PILES of half read books on my bedside, bookshelves and half done books on my kindle. I return books to my library, 3/4s read. It's becoming my new thing :/ Most are actually really good. I am just finding that if it is not EXACTLY my kind of perfect book, I lose interest. If I am not sucked in with that unputdownable feeling, it gets put down and I have no urge to pick it up again. Plus YOU GUYS it's school holidays! Best feeling ever. I love having the kids home and sleeping in, and my parents are driving up so I'll get to feel all tourist-y alongside them. It feels so good to make this random post and say hi to you all! In the Second Book of Lharmell, Zeraphina and Rodden must travel across the sea to find the elusive ingredients that will help them to win the coming battle against the Lharmellin – but shadows from Rodden’s dark past may come back to haunt him. And while she learns to harness her new abilities, Zeraphina still fights the hunger that makes her crave the north – not to mention avoiding her mother, who wants to see her wayward daughter married to a prince at all costs. 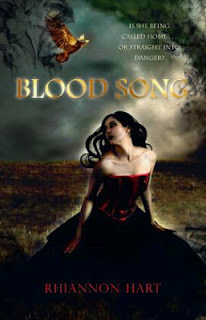 Last year, I fell in love with Rhiannon Hart's debut, Blood Song. Guys, she was only warming up. Rhiannon Hart completely bypasses the dreaded curse of the second book in a series to deliver a completely addictive, twisty, dangerous and (more than) satisfying sequel. 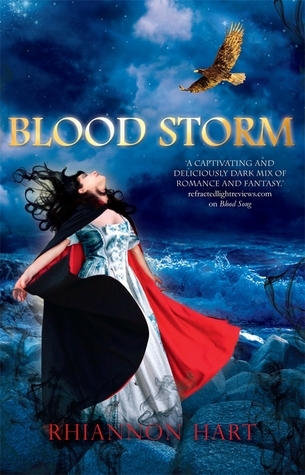 Where Blood Song introduced us to the world of Lharmell, Zeraphina and Rodden, Blood Storm takes us way deeper into their world. That it is easy to read*. I struggle with high fantasy, yet the world of Lharmell is so seductively easy to curl up into. The landscape of Blood Storm is huge: from small haunted towns, to cities, to danger on the high seas and nomads in the desert. It's the ultimate road trip. Hart is some kind of genius at creating questions in the reader, leaving me hanging out just the right tantalising amount, and then delivering revelations that had me 1. reeling, 2. aching, and 3. more addicted to her characters and world. I loved that my heart was ripped out more than once. I love a good ache-y read and this one got me 100%. Rodden. My gosh. I am still reeling from it. Talk about haunting. That, while the first half was clipping along at a steady, comfortable pace, the second half grabbed me and would not let me go. Reading past midnight because a book has captured me is the absolute best feeling. I love that Hart is unafraid to take the story to some dark (seriously dark) places, yet lightens the mood with such a likeable narrator. Zeraphina is gutsy and bold but vulnerable in all the right places. I love how she comes into her own . More certain of who she is even as she is discovering more about herself and her powers. Speaking of main characters: Rodden is intriguingly unreadable and seemingly unsympathetic at times, which makes his moments of unexpected sweetness even more swoon-worthy. He is the perfect brooding, tortured soul and his chemistry with Zeraphina dances a fine line: quietly understated and then moments of perfect zing. LOVE. I did not expect to feel so drawn to him as I did, especially as some of his secrets are made known. Hart lushly draws the reader into her world without drowning us in description (thank you!). A few carefully coined phrases had me feeling like I was travelling right alongside our hero and heroine: sights, sounds, smells and a great sense of history oozing from the pages. Likewise, the action scenes are riveting, they played out in my head seamlessly. I found Blood Storm to be unpredictable (always a good good thing). Things are not always as they seem. Hart took me on a wild journey yet kept me grounded the whole way. There's an absolute killer cliffhanger, yet for some reason, I was not frustrated. I was so reeling and exhilarated form the climax that I was ready to forgive Hart anything. I have no doubt she will deliver above and beyond in the third and final book in the trilogy.